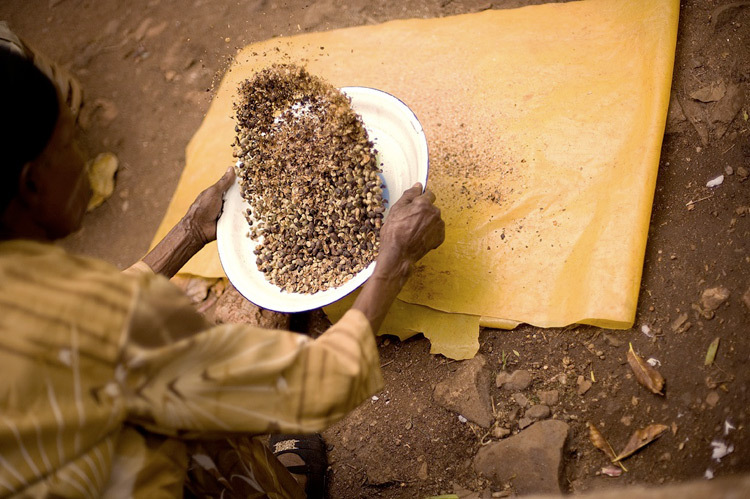 Sorry, we are currently sold out of 'Ethiopia Tchembe Natural - Ninety Plus'. Please check back later. Latest arrival April 2016 packed in boxed grainpro. End of season reduced pricing saves about $2 a pound. This coffee has been stored in grainpro and is cupping like its first arrival. This coffee is from Ninety-Plus, a US company that has been working for some years in Ethiopia to develop coffees of real distinction. Their emphasis is on coffee cherry processing, which is what they attribute to be the most important element toward producing great coffee. They have made an art out of working on the processing side and they consider themselves 'coffee makers' rather than producers. 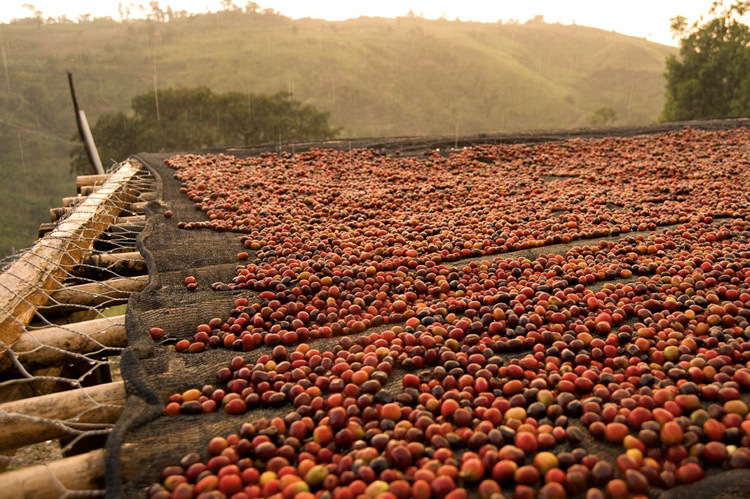 Of course, they need to begin with highly selected cherries, but from there they separate coffees based on the desired cup profile and alter their processing techniques to achieve their aims. 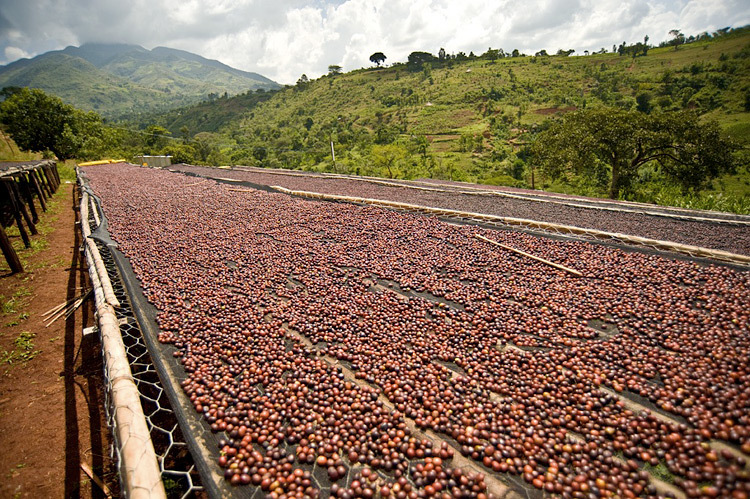 This places less emphasis on varietal, microclimate and farm management and puts the focus more squarely on how to get these nice coffee cherries to taste very special. The Tchembe coffee is certainly that, profoundly powerful and distinctive. Aficionados of natural process coffees will certainly want to try it. 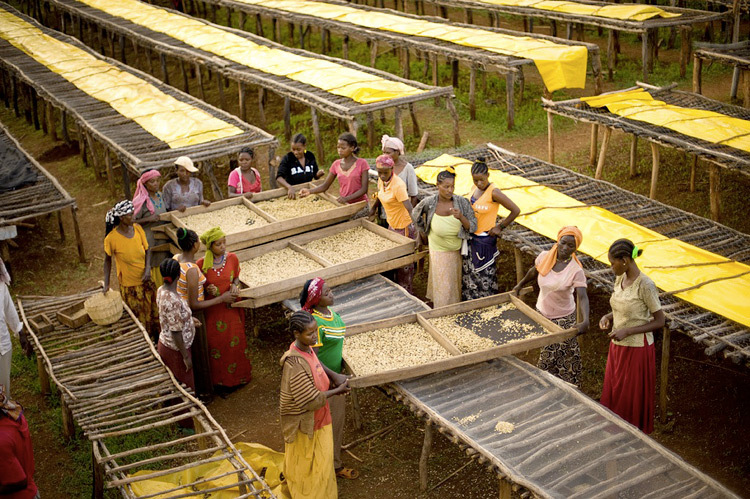 Ninety-Plus separates their natural coffees by how much the the final coffee has been influenced by the drying fruit pulp. 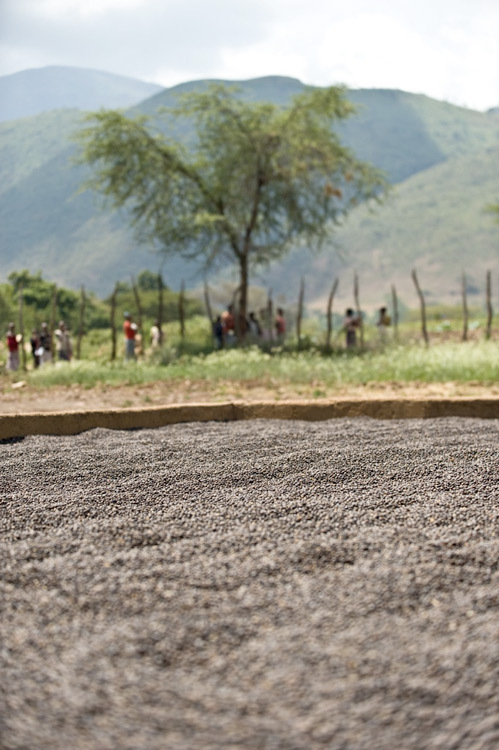 The Tchembe has a strong influence of the coffee fruit surrounding the seeds. This is very cleanly prepared coffee for a natural, with a minimum of quakers which are often more frequently found in naturals. The result is an even roast. Arrived packed in Grainpro bags. Cup Characteristics: Deep, brooding, very complex with dark and stone fruit flavors. Fruit penetration is medium but body is very significant. Aromatics of chocolate covered cherries, raspberry; very fruity. In the cup, dark chocolate, red fruit like strawberry. Honey, butterscotch, sweet tobacco. Big, lush and juicy cup. Heavy, earthy, broad body. Dry, very long white wine finish. Overall, a very big fruity flavor profile. Roasting Notes: We stopped this roast about a minute past first crack and it seemed ideal. Second crack had not yet started. On a Behmor a P2 or P3 would work well.